Losing a loved one is never easy, and it can be difficult to settle your loved one’s estate while you are still grieving. Please be assured that UC staff will work with you to explain any benefits available to you and to other survivors or beneficiaries. The Retirement Administration Service Center will be your primary point of contact. 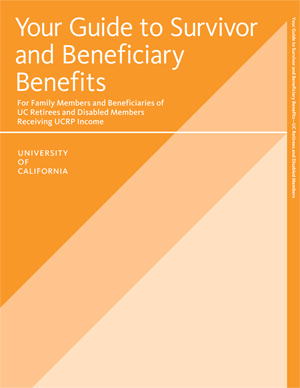 Service Center representatives can answer questions and guide you through the process of claiming both UCRP benefits and UC-sponsored health and welfare benefits, if you’re eligible. The best way to contact the Retirement Administration Service Center (RASC) is by phone. If you are not able to contact them by phone, an online form or traditional mail are also options.